Are you searching for a new sports car that is as fuel efficient as it is fun to drive? If so, then there are several excellent options in the Carlsbad, CA area for you to explore. One of the best options available is the 2019 Mazda MX-5 Miata. The 2019 Mazda MX-5 Miata is one of the best sports cars available for the 2019 model year. 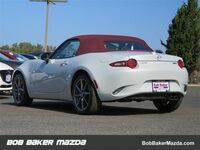 Customers in Carlsbad can check out the 2019 Mazda MX-5 Miata for themselves at Bob Baker Mazda. The 2019 Mazda MX-5 Miata offers several excellent features that customers are sure to love! Whether you are looking for great engine performance, stunning design, or the latest technology features, the 2019 Mazda MX-5 Miata has you covered. Let’s take a closer look at the excellent features and engine performance the 2019 Mazda MX-5 Miata has to offer. 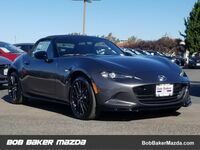 If you are interested in learning more about the excellent engine performance and features available on the 2019 Mazda MX-5 Miata, then you should contact the staff at Bob Baker Mazda today! Our team is happy to answer any questions that you may have about the 2019 Mazda MX-5 Miata or any of the other excellent Mazda vehicles we have in stock. Visit our dealership in Carlsbad, CA today!